I am going to assume you believe the world is spherical. No point otherwise. Ok, imagine the sun in the middle and the Earth is spinning around it. I ask you this question, “Is the Earth going around the sun in a clockwise or counter-clockwise rotation? I think any normal person would say that the correct rotation is clockwise. We have precedent of clocks after all. This is how sundials work. Now, I would further espouse that if you were looking at the earth and the sun this way and it was traveling clockwise, that the TOP of the earth, the part you can see is UP. TOP = UP. Pretty straight forward, correct? Notice anything odd? Answer: Everything is upside-down. Why do we think that the TOP of the earth is the north pole and the bottom of the earth is the south pole? Clearly, using clockwise logic, the top of the earth is the SOUTH pole. 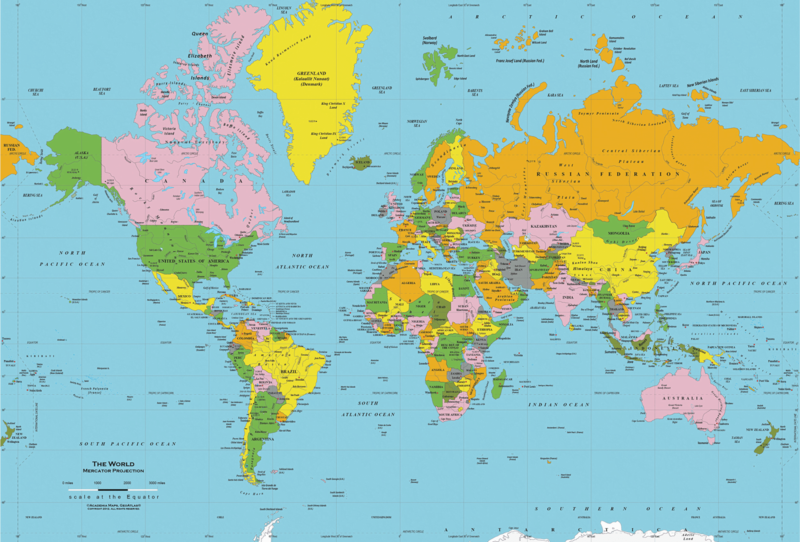 It’s obvious to any student of history that the reason north is the top is because maps were invented by sailors and cartographers who lived in the northern hemisphere. It’s completely arbitrary and clearly isn’t going to change any time soon. However, it does make some sense to think about maps the other way around. Just to add insult to injury, our maps are pretty terrible in scale as well. The world map as I learned it in school. Notice how small Africa and South America are? The equator (mid point of the earth) is not in the middle of the picture. Everything is skewed because of that. The equator is the line going through the top of Brazil and the middle of Africa. In this map the equator is right in the middle of the picture. 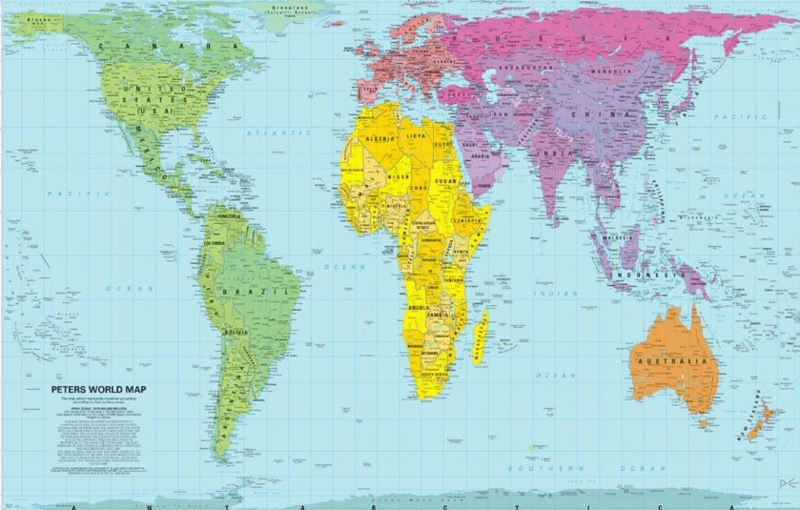 Notice how Africa and South America are the proportional size you would see on a globe. Our maps are upside-down and distorted. This should be the map taught in schools. Christopher Columbus, Thomas Jefferson, Andrew Johnson, and Andrew Jackson were all terrible people. Protests, often bloody, led to social change to the benefit of society. This post was inspired by an old episode of West Wing on the same subject. Also, because of recent news about a 4 day school week. Our schools should be palaces. Teachers should be paid 3x as much as they do. Students should be allowed to skip chemistry and focus on art and music. We should teach kids how to start businesses and program apps. Education is the progressive’s silver bullet and the momentum is going in the wrong direction. What do you wish you could change in the way people are educated?